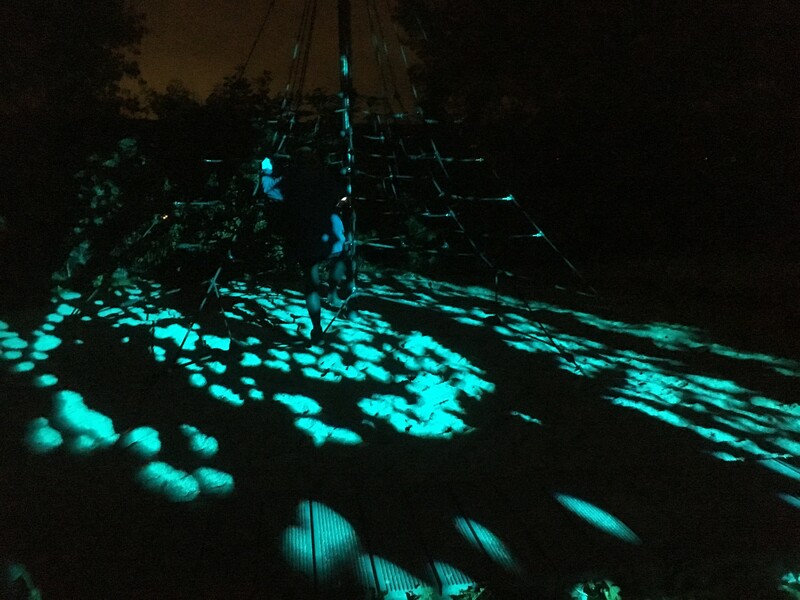 The mayor of Albertslund, Steen Christiansen; came out to play last night with the pupils from year 8 and 9 from Herstedlund school, when the interactive sound & light was to be switched on at the city’s new school playground. The event was aimed at the users of the playground, who were also invited to stay overnight at the school as part of the special arrangement. After a mayoral countdown, the light & sound was switched on, and the area was transformed into “outer space”, making the trampolines, the panna field and the climbing tree three different “galaxies”, while a DJ desk, using kinetic energy, provided the possibility for the pupils to create their own music. 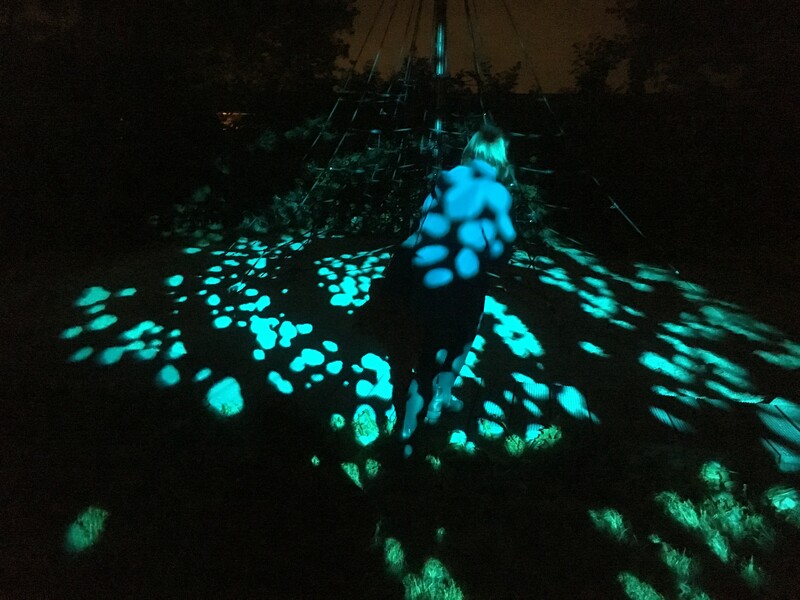 The idea behind the light & sound design of the new playground is to challenge the usage of the city’s urban spaces during the dark hours – which in Denmark start as early as 16.00pm during winter. 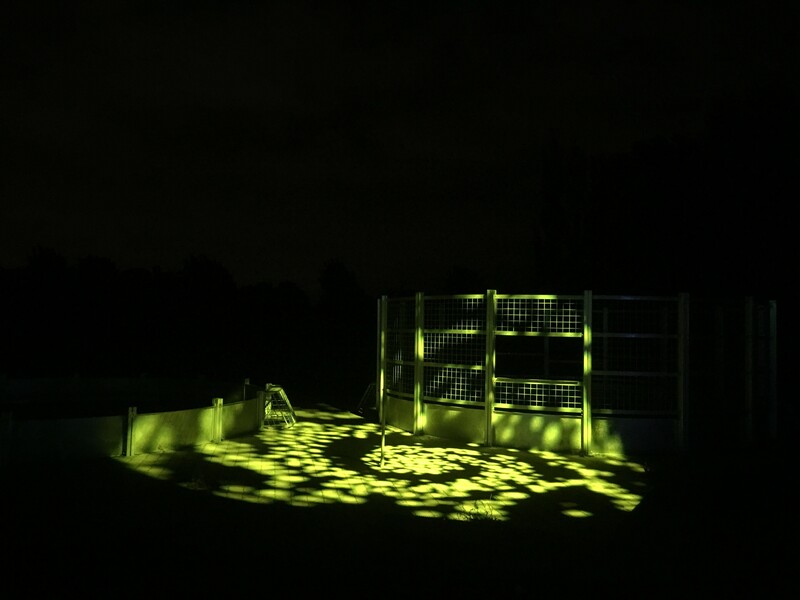 By using interactive lighting to “prolong the opening hours” of the public playground at Herstedlund School, the project aims to use the darkness as an asset and hence challenge how the citizens can be more active and play outside all year round. 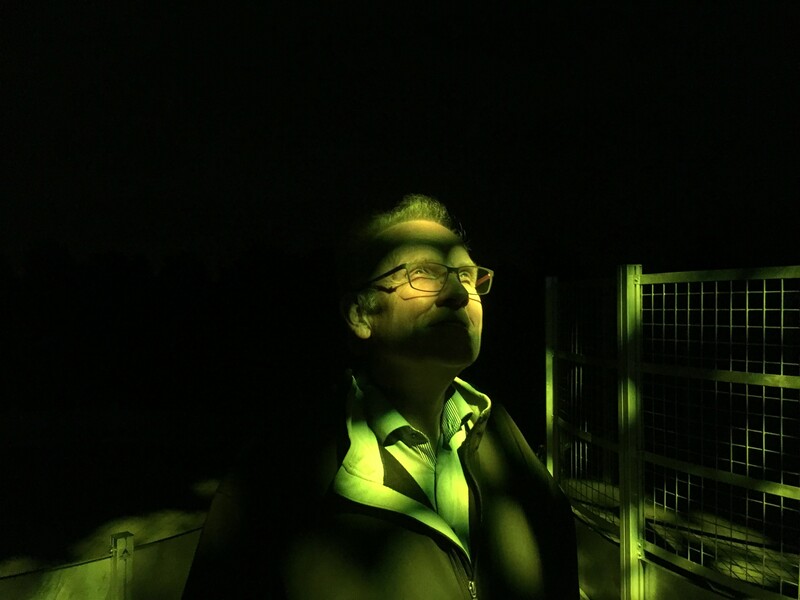 Instead of just lighting up the area with regular lighting, the city wanted the urban space to invite people in to interact and play with the lighting. 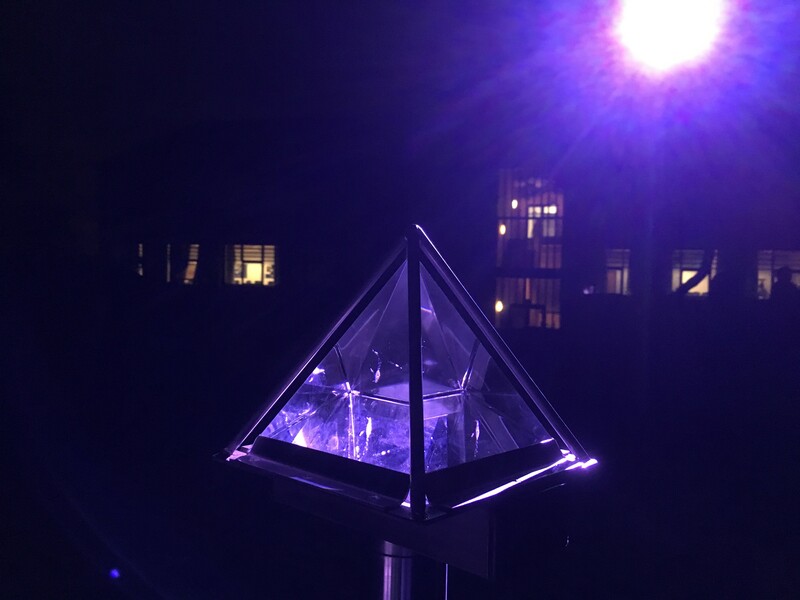 The process behind the design project has helped to ensure a sense of ownership, with the school having being involved from the beginning, by for example choosing the exact spot for the project. Pupils and teachers have participated in workshops, contributing with needs and wishes for the project and have chosen the theme and colour scheme. School leader Søren Hald and representatives from Ørsted, Elverdal had also come out to Albertslund to play, at night. Ørsted and Albertslund Municipality are project partners. Elverdal designs carried out the project. Aalborg University were involved in the beginning of the project as part of a master project. You can read more details about the project here.